Do you want to know my problem with having a women's cardigan in my closet? 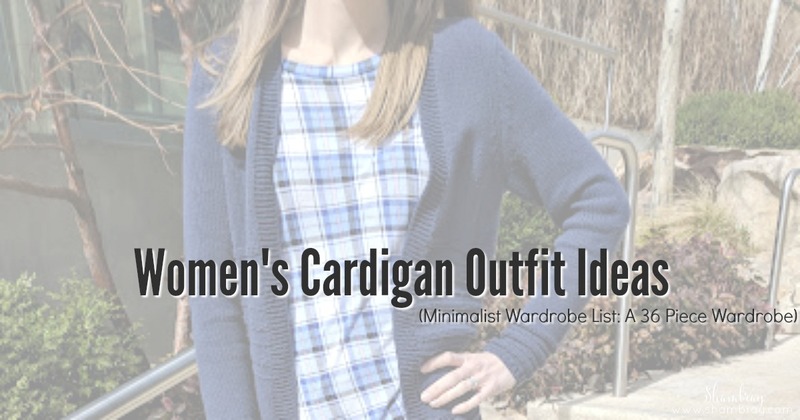 It is the thing that I struggle with all the time when it comes to cardigans. It can be frustrating. It is the fact that I want ALL the cardigans. I love them. I don't want just one. I want like 50. I wish I was joking. However, I have stuck with one AND I have survived. I know...crazy. Honestly, you can wear a cardigan with EVERYTHING. Here is my tip though. 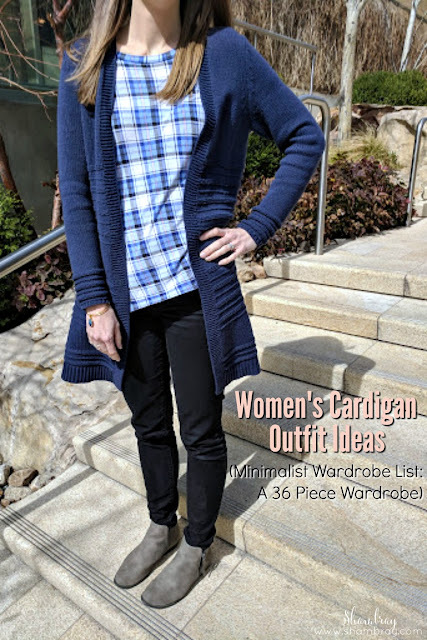 If going with a minimalist wardrobe then you need to think about what you are pairing the cardigan with. So think about the color. I used to have a black, white, and gray one. Now I have this navy one. Those colors go with most things. That is how I wanted it. I also went with a more loose fit or in this case a little more "chunky" because I wanted it to be able to go over any type of sleeve (for the most part). That way if you have a sleeve that flares more you won't have a huge bulge in the arm of your cardigan. I hope that makes sense. Some of these links contain affiliate links which means if you purchase after clicking on the link I will receive a very small commission. I wholeheartedly recommend these stores and commission would never sway me to recommend something I could not stand behind. This is where my current one I have is from. I actually went to Old Navy looking for black skinny jeans and ended up walking out with not just skinny jeans, but also the cardigan. I LOVE it. This is where I got my previous cardigan from. 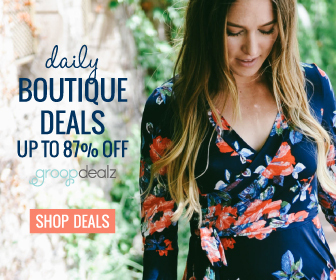 If you are looking for a good deal then this is a great place to start and search for "cardigan" in the search bar to see if anything comes up. Also, there are a ton of outfit ideas when you search this way!